Wearable cameras such as Snap Spectacles promise to share videos of live concerts or surgeries instantaneously with the world. But because these cameras must use smaller batteries to stay lightweight and functional, these devices can't perform high-definition video streaming. Now, engineers at the University of Washington have developed a new HD video streaming method that doesn't need to be plugged in. Their prototype skips the power-hungry parts and has something else, like a smartphone, process the video instead. "The fundamental assumption people have made so far is that backscatter can be used only for low-data rate sensors such as temperature sensors," said co-author Shyam Gollakota, an associate professor in the UW's Paul G. Allen School of Computer Science & Engineering. "This work breaks that assumption and shows that backscatter can indeed support even full HD video." The team presented these findings April 10 at the Advanced Computing Systems Association's Symposium on Networked Systems Design and Implementation. In today's streaming cameras, the camera first processes and compresses the video before it is transmitted via Wi-Fi. These processing and communication components eat a lot of power, especially with HD videos. As a result, a lightweight streaming camera that doesn't need large batteries or a power source has been out of reach.The UW team developed a new system that eliminates all of these components. 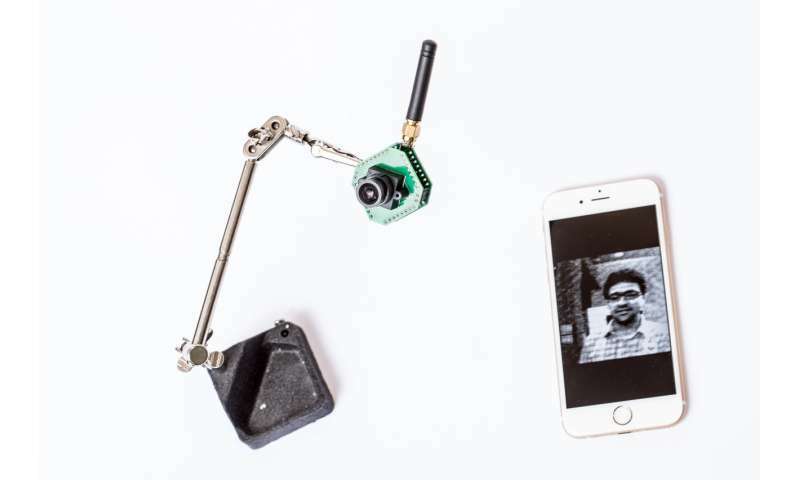 Instead, the pixels in the camera are directly connected to the antenna, and it sends intensity values via backscatter to a nearby smartphone. The phone, which doesn't have the same size and weight restrictions as a small streaming camera, can process the video instead. "It's sort of similar to how the cells in the brain communicate with each other," said co-author Joshua Smith, a professor in the Allen School and the UW Department of Electrical Engineering. "Neurons are either signaling or they're not, so the information is encoded in the timing of their action potentials." 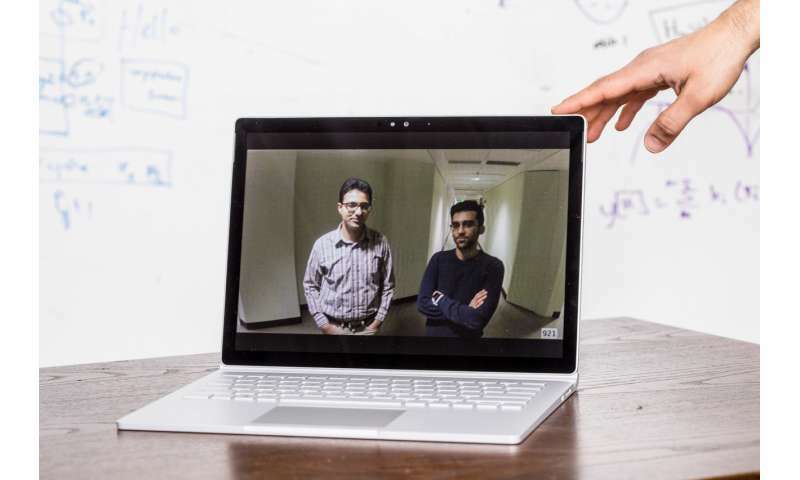 "That's like a camera recording a scene and sending the video to a device in the next room," said co-author and computer science and engineering doctoral student Mehrdad Hessar. The group's system uses 1,000 to 10,000 times less power than current streaming technology. But it still has a small battery that supports continuous operation. 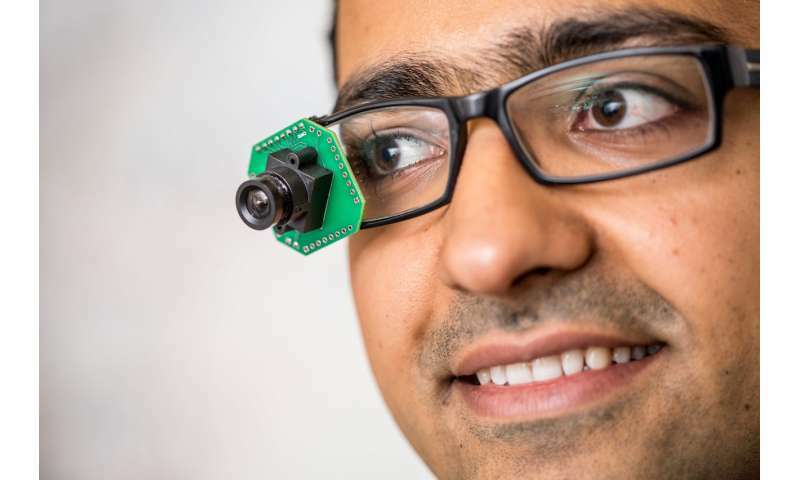 The next step is to make wireless video cameras that are completely battery-free, said Smith, who is the Milton and Delia Zeutschel Professor for Entrepreneurial Excellence. "There are many applications," said co-author and recent UW electrical engineering alum Saman Naderiparizi. "Right now home security cameras have to be plugged in all the time. But with our technology, we can effectively cut the cord for wireless streaming cameras." "Just imagine you go to a football game five years from now," Smith added. "There could be tiny HD cameras everywhere recording the action: stuck on players' helmets, everywhere across the stadium. And you don't have to ever worry about changing their batteries."